The Silver City Gospel Mission relies on private donations to provide services to thousands of poor and homeless adults and children each year. Most of our annual contributions come from individual donors. Your support helps us provide food for the hungry and homeless, medical care for the sick, safe, affordable housing for families and single adults, and other services that protect and transform the lives of the homeless and poor in our community. 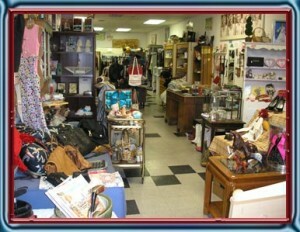 Here are some of the items we need in the Silver City Gospel Mission Thrift Store. 100% of thrift store profit goes directly back into feeding and clothing the hungry in Silver City. Your household goods donations can be dropped off at the Mission front door every Tuesday, Wednesday and Thursday between 8:30 am and 1:30 pm. Sorry, but we do not do pick-ups. During the holidays, The Silver City Gospel Mission distributes donations of new and used toys to the children in its programs. Toy donations should be unwrapped. We accept gently used furniture donations and donations of basic household items on a space-available basis. These donations are sold in the thrift store and given to individuals who have recently moved off the streets or out of shelters into a new apartment. Donations that could help such individuals furnish an apartment are greatly appreciated. We receive the most requests for the items listed below. Assisted living furniture for seniors (potty chairs, shower chairs, walkers, etc. Sorry, but we don’t have much space for large furniture or appliances. Sometimes we may be able to fit a couch in if we have room, but please call about these items before you come. Even if we can’t accept them, we may know of someone who needs it. We also do not do any pick-ups. Share the post "Donate Household Goods To The Gospel Mission"